After months of rumors, speculations and teasers, the latest title in the wildly-popular Asphalt franchise is finally available for download. 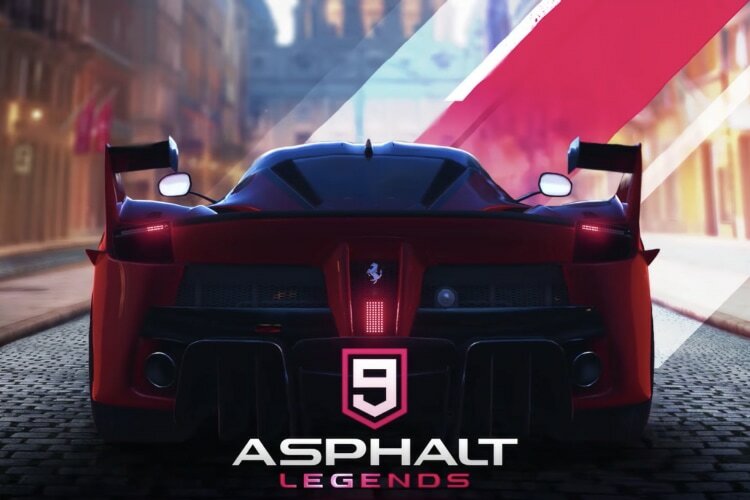 The game, dubbed ‘Asphalt 9: Legends’, follows the highly successful ‘Asphalt 8: Airborne’, and is currently listed on the App Store for iOS devices, after being spotted earlier last week. While we know an Android version is in the works, it’s not yet clear when it will be launched. Gameloft had released a trailer for the game last week, showcasing the same high-octane racing experience that has catapulted the franchise into one of the most popular names in the genre. The new game is bringing more than 50 different cars from a whole bunch of manufacturers, including perennial favorites Ferrari, Lamborghini and Porsche. Users will also have the option to choose from as many as 70 different race tracks, and there’s also a full-fledged career mode that spans over 60 seasons and 800 races. Players can also race against 8 players in real time through the different leagues of the World Series Multiplayer mode. One of the most notable changes in Asphalt 9 is the change from tilt-based controls to touch-based controls. Users will now have to swipe to change lanes, while acceleration and turning will now be automatic as part of the all-new ‘Touch Drive’ control scheme. Players, however, can also switch to manual steering if they feel the game’s becoming a bit too easy for them. According to Gameloft, the changes will make the game more immersive, although, many are expressing dissatisfaction that the company is not even offering the option to switch to tilt-based controls, something that most players, including myself, had gotten used to over the years. You can head over to the App Store to download ‘Asphalt 9: Legends’, but do note that the game requires iOS 8.0 and above, and is only compatible with an iPad mini 2 (or newer) or an iPhone 5s (or newer). The game is free to play, but offers in-app purchases that start at Rs. 99 and go up to Rs. 2,490.